This opinion was conceived as a result of several days in which I only focused on thinking about the growth of what is defined as "Human" and everything that encompasses its conception within what would be defined as humanity, in terms of evolution , like Darwinism and it is due to the impact that influences me due to several series instructed with this theme. I found it very interesting and I just wanted to offer my opinion about its deepening in what would be defined as "Human"
I do not consider myself a biologist, paleontologist, or historian, so probably everything I write and pose next is considered a blasphemy against some scientific direction, however I do belong to a variant of Homo Sapiens, a fact that identifies me (or classifies in this case) as an anatomically modern thinking hominid aware of himself as much of his species as of his actions. At first sight, this series of nouns and adjectives seems to be great achievements of our subspecies, who, having evolved differently from our primate cousins-brothers, developed, starting from the primitive conquest of food and shelter, an accumulation of characteristics that today they allow us to interact with the elements, develop submarine and space races, dominate or know the forces that govern Nature, the climate and even ourselves. But here lies the deception, the illusion of the thinking sapiens, who, thanks to his communicative and rational capacity, has drawn for himself a square or geometric world, and has placed himself on the existential cusp of one of his figures. In the "great vacuum" of non-history. If we look from here, man is nothing but the consequence of atmospheric accidents, planetary situations, random configurations, atomic, metallic, biological alloys, which complicate a cellular link called life. Just as man, a large range of animal and vegetable beings materialize under particular terrestrial conditions. 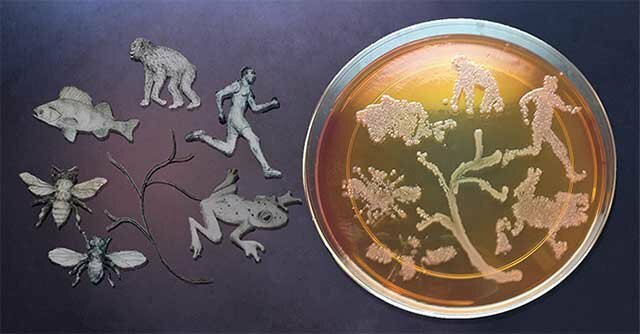 Without these conditions, the microorganisms would not have fertilized the waters, nor the amphibians conquered the land that the mammals inherited. Without these conditions the Neanderthal could have subsisted, or maybe some other type of animal, not necessarily hominid, would have been able to develop faculties similar to ours, and would be today, if his intelligence considered it, investigating our non-existence, What is left for us, the modern superman? Are we really the apex that we draw or does this supremacist behavior also obey a primitive, animalistic condition? Let's turn to see what has happened to our experience on Earth, without ignoring, of course, that we have managed to perfect our medical, architectural, and other skills, which other animals have not done in the same way. But is that humanity or animal adaptability? Does not the beaver build and perfect its dam, its tunnel the mole? I insist, in the case of homo sapiens these processes are more complex, but not less animalistic. 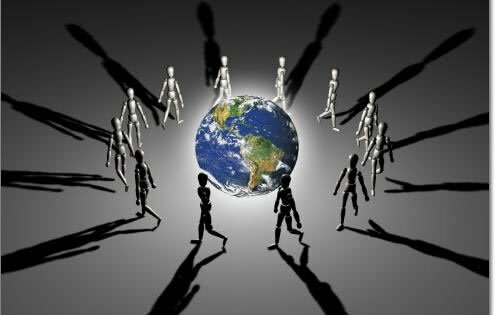 While we seek our subsistence as a species, group, race or culture, animality will continue to reign, even if it is supported by rational theories, because our intention will be to place ourselves at the top of the food. However, humanity resides in the demolition of these animal characteristics, in the rupture or substitution of primitive needs, we could even affirm that, at present, true humanity exists only in artistic expression, in imitation carved on stone, in the dance of the rain, in the myth of history, in the tale of distant worlds beyond the stars, in contemplation, in deep meditation, in the dream of ceasing to be and in what will be after the life, being the homo sapiens, in the physical plane, an animal body, a subspecies superior insofar as it is capable of adapting to the climate and guaranteeing for itself the provisions provided by its environment. This opinion was conceived as a result of several days in which I only focused on thinking about human growth in several senses, both in terms of evolution, as Darwinians and is due to the impact that influence my thanks various series intruded with this topic. Your post was upvoted by utopian.io in cooperation with steemrepo - supporting knowledge, innovation and technological advancement on the Steem Blockchain.